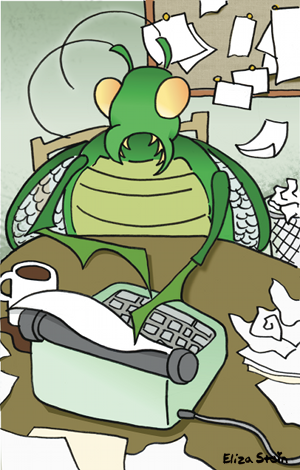 Typing Bug Says… Back to Work! While I was working on this, my husband came over and asked me if it was a self-portrait. Why yes, how did he know? 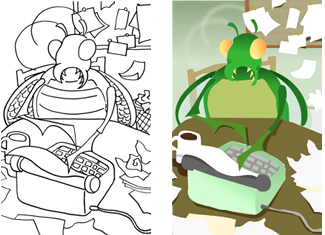 I am a little worker bug, happy that I’m no longer stuck in a cubicle. I don’t miss typewriters, but there’s a pretty mint green one that keeps showing up on Etsy. Maybe I’ll buy it for one of my writer friends that still use them.